Your website can often be a make or break factor for your customers, so first impressions really are everything! The average lifespan of a website tends to be around 3-4 years, but there are often other factors that mean you should contemplate a new site. Here is just a handful of reasons why it might be time to consider a website redesign. 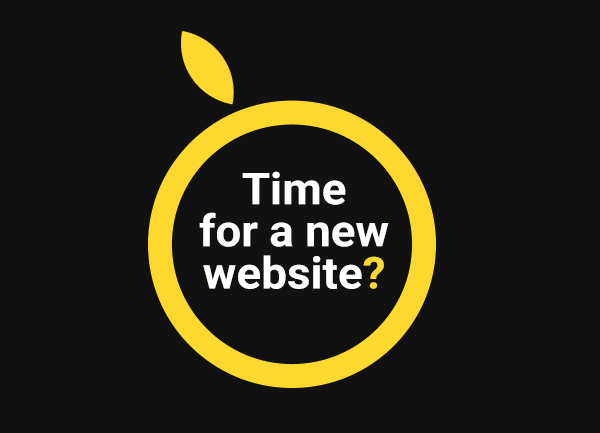 This is often the biggest factor in businesses deciding on investing in a new website. It’s difficult to identify exactly why, but analysing your website analytics will give you a great insight into where customers are dropping off your website, where they are spending most of their time and areas where you need to look at improving. The look and feel of your website should reflect your company and your brand. A poorly designed and outdated website can often have a negative impact on how your company is portrayed. As well as the look of the website, the features and content on the website should provide the visitor with everything they require within a few clicks of their mouse. This one is a bit of a no-brainer, but it is astonishing just how many websites still aren’t responsive (mobile-friendly). With statistics showing that over half of all internet browsing is now done on mobile or tablet devices, it is vital that your website is accessible and easy-to-use on these smaller devices. With the recent ‘Mobile-first indexing’ update from Google also meaning that Google will soon be ranking your website on it’s mobile experience first, it’s even more of a reason to ensure your website is up to scratch. Just like the design of your website, your marketing and SEO may also be in need of a refresh. This would be a great time to review your marketing strategy and focus your website content around your keywords and phrases to help increase your overall SEO performance. There are many things that can be done to increase your overall website SEO performance including optimising your meta information, headings & images, and although there is plenty of quick fixes that can be done to your existing website to improve things, it is sometimes more cost-effective to start afresh with your website optimised from the ground up. This final point is one that we see oh too often. Having an all signing, all dancing website is great, but it’s often the case that a difficult to use CMS (content management system) can end up putting people off updating it. This tends to be the downfall of a lot of websites as it means the site ends up getting neglected and untouched due to the stresses and difficulties involved when updating it. Think it’s time for a new website? Get it touch today to discuss your project with us.